In 2008, a Mexican model and beauty queen called Laura Zúñiga became the center of a drug trafficking scandal. She had won a national pageant and was automatically selected to represent Mexico internationally. But before that happened, Laura was arrested. Along with seven other men, she was caught by the state police while carrying $53,000 in cash and a large assortment of weapons, cartridges, and cell phones. In her defense, she insisted she was kidnapped and forced by gang members to traffic American dollars for weapons and drugs. Eventually, after a long stay at a detention center, having found no evidence that tied her to the criminals, a judge ordered her release. For Laura, the nightmare was finally over. A year later she started over and picked up on her modeling career. In 2011, Laura’s story inspired a Spanish language drama called Miss Bala. The word ‘bala’ is Spanish for ‘bullet.’ Events were altered, but the overall plot was the same – a model enters a beauty pageant, she’s kidnapped, family members are held hostage, and the model is forced into transporting drugs for cash across the border. Filmmakers even called her Laura. On its home turf, Miss Bala was a critical and box-office success. And even though it never made the shortlist, the film was selected as the Mexican entry for Best Foreign Language Film for the 84th Academy Awards. 2019 now sees the release of the American remake directed by Catherine Hardwicke (Twilight, The Nativity Story). Like the 2011 original, Hardwicke’s English language version not only retains the title but sticks close to the plot, albeit with some tweaking. Laura is now Gloria (Gina Rodriguez) and she’s no longer a model. She’s a makeup artist from Los Angeles who crosses the border into Tijuana to visit her childhood friend Suzu (Cristina Rodio). Suzu is about to enter the Miss Baja California pageant. Laura’s there to help with her friend’s makeup and to offer support. But while partying at a nightclub, a local gang bursts in brandishing automatic weapons. Hell breaks loose, resulting in a dance floor massacre. During the mayhem, Suzu disappears. Gloria, who survives the attack, tries desperately to find her best friend. She even seeks the help of a local cop, telling him that she witnessed the event. If he helps her locate the missing Suzu she could give vital information to the authorities regarding descriptions of the gang members. She went to the wrong cop. 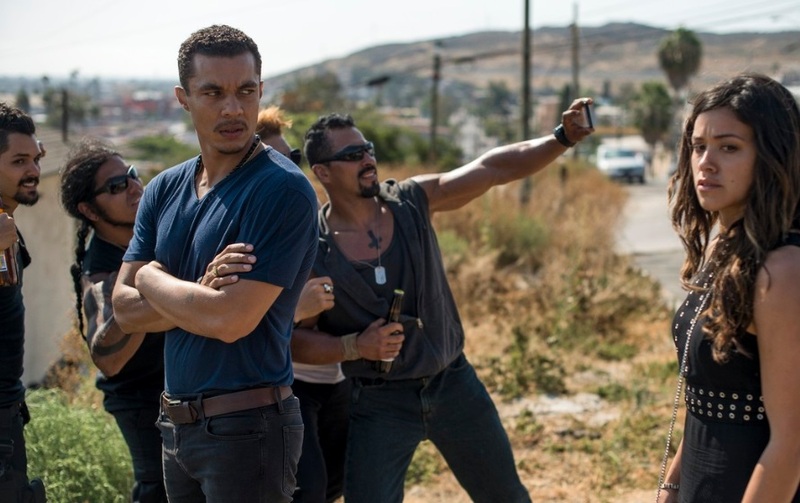 Instead of taking her to the police station, he takes her straight to the leader of the gang, Lino (Ismael Cruz Cordova). From there, Gloria’s world spirals out of control. If she wants to see her missing friend again she’ll have to traffic cash for guns and drugs across the border into San Diego and back again. Eventually, she finds herself caught between the murderous gang, known as Los Estrellas (English: The Stars) and American DEA agents whose operational tactics in enlisting Gloria to help them is equally threatening and questionable. Even though it’s clear that Gloria is no criminal drug runner, she’s threatened with 50 years in prison if she doesn’t cooperate with the DEA. 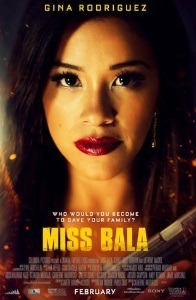 From the trailer and the determined, no-nonsense look on the face of the gun-wielding female displayed on the poster, Miss Bala looks to be a fast-paced, revenge action thriller with an attractive woman at the center forced into being a one-woman army taking matters into her own hands. It’s not. Like the 2011 original, the remake is really a drama, putting an ordinary woman into an extraordinary nightmare situation with no special skills of her own. The hype is misleading. There are action sequences, and director Hardwicke handles them well. The early massacre in the nightclub is explosive, the battle between the DEA and the gang, with Gloria stuck in the crossfire, is an effective nail-biter – “Sorry, Gloria, you’re on your own,” radios an unsympathetic DEA agent who could not care less about her safety – and the final face-off involving the gang, the authorities, and a corrupt chief of local police with Gloria running frantically between them all, is effectively tense. But this is not a story told through action, and it’s good to know this before going in. Those looking for a chick-with-a-gun flick as marketed may be in for a surprise, and a not altogether welcomed one. But in its favor, there’s a surprising sense of realism conveyed when Gloria attempts her escapes. She has no plan. Unlike action heroes of this form, there’s no long term design behind her drive, she simply makes things up as she goes along, invariably leading to her being captured again. Plus, it has two good performances from its leads. As Gloria, in her first leading role and her name above the title, Rodrigeuz has great cinematic appeal. And as the murderous gang leader Lino, Cruz Cordova is so authentically convincing, you forget that this is the same actor who parents might recall as Mando on TV’s Sesame Street or as David Rizzio, the doomed gay confidant to Saoirse Ronan’s Mary, Queen of Scots. If Miss Bala does anything, it acts as a showcase for two emerging talents. But neither performers can do enough to save the film. Those who saw the original may want to compare. While the Spanish language version received acclaim, the remake won’t. Yet Hardwicke’s newer version is the better film. It’s technically slicker, and when the moments of action come, it’s taut and well shot. But for whatever reason, English speaking audiences often see more ‘art’ in a foreign language film than is really there, often believing that what they’re watching is somehow a more worthy product. In reality, what they’re witnessing are the conventions of the American movie factory imitated in a foreign language. The new Miss Bala is not deserving of an Academy Award nomination, but neither was the original, despite its submission. 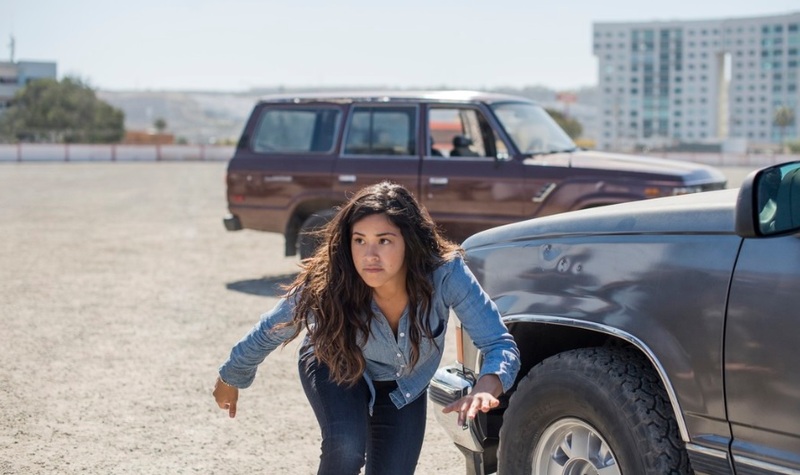 It should be noted that Miss Bala is a barrier-breaking movie, and that’s a good thing. In last year’s top 100 films, there was no Latina in a lead role. The casting of Rodrigeuz and Cruz Cordova is commendable. 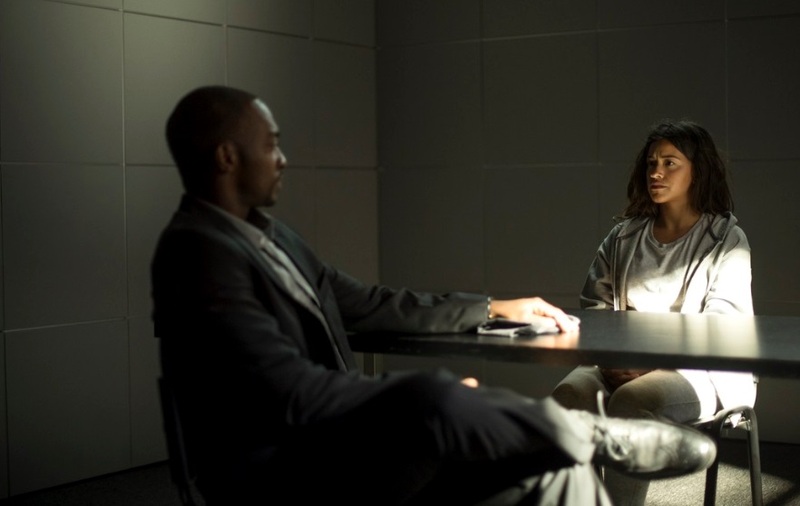 But the film’s slow-paced rhythms throughout while establishing its scene-setting conflicts, often developing into situations contrived rather than natural, are constantly in danger of grinding things to a halt. Worse, it commits the cardinal sin of all the movies: It’s ultimately boring.